Do you need a bigger file? The file available on this site is 918 x 1024 px. To obtain an alternate file type or higher resolution copy, please contact the owning institution. 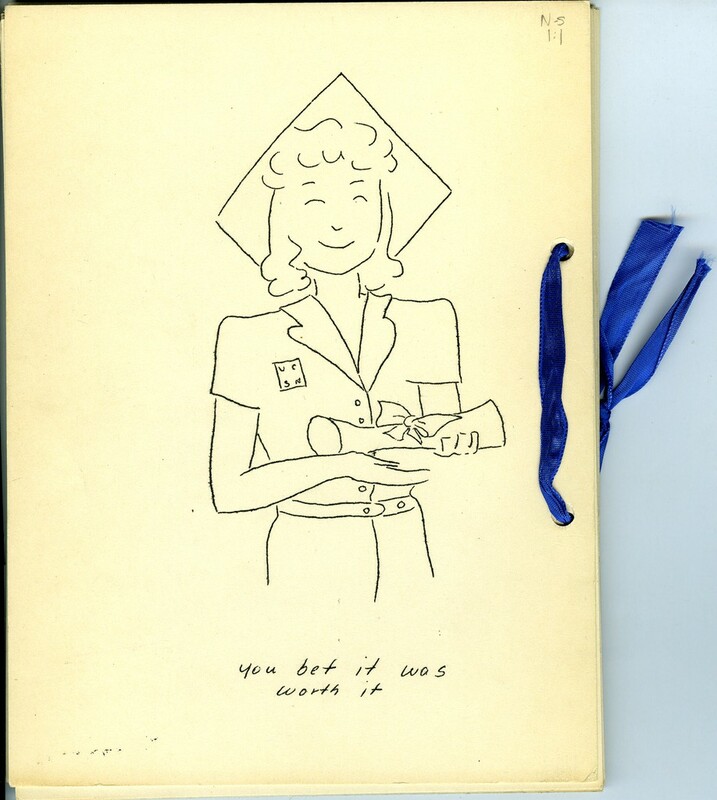 Scope/Content: An illustration of a nursing student in graduation regalia with diploma from a comic book created by Marjorie Carlson for the 1944 graduating class of the University of California, San Francisco School of Nursing.